Most anything that will not eat me.. I wasn't feeling well the other day, turns out to be buck fever. 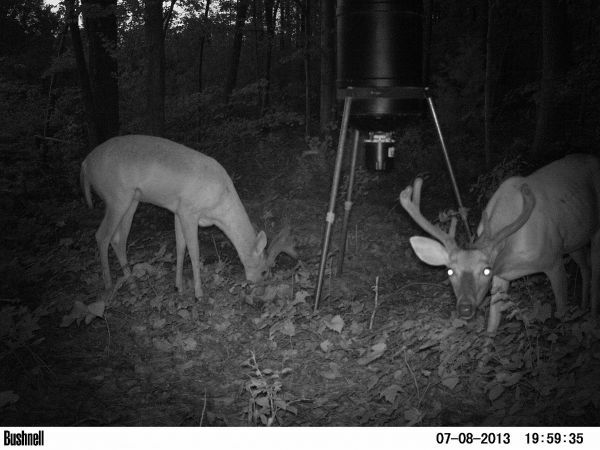 Anyone hear of reports of Franklin County getting hit hard with cwd this year. I heard that it wiped out 75%of the deer population. Any word on what's what? 9 point killed in Warren county. First time taking an actual deer that I have been watching since June. got this pic saturday and to my surprise he has already shed. 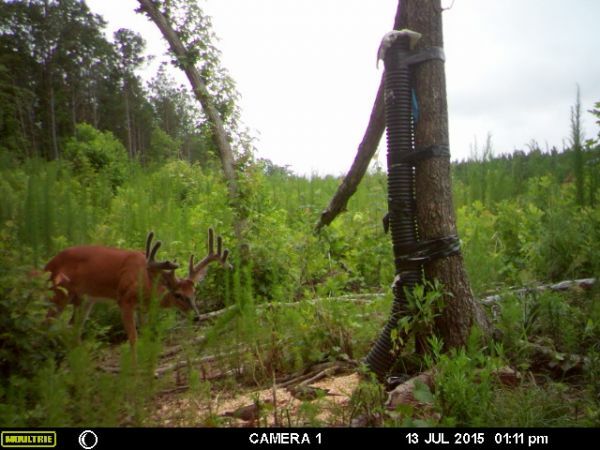 Yep, pretty sure it's a buck, you can see his goods from another angle. hopefully I can find the sheds before the squirrels get to'em. I hunt in Warren county which has introduced a bear hunting season this year. The regs state that 'processed' foods are not permitted even for deer hunting if a particular county has a bear season. It states that 'minerals' that are used for antler growth are permitted. Question, is shelled corn considered processed or by definition is processed anything added to enhance the flavor of the product? Just in from the dance floor. WOW!!! double strut. Just keeps gettin better. note: time stamp is still 1 hr behind. bad part, I was there at 9:40, I must have run'em off. Gobblin Tom strutn his stuff. 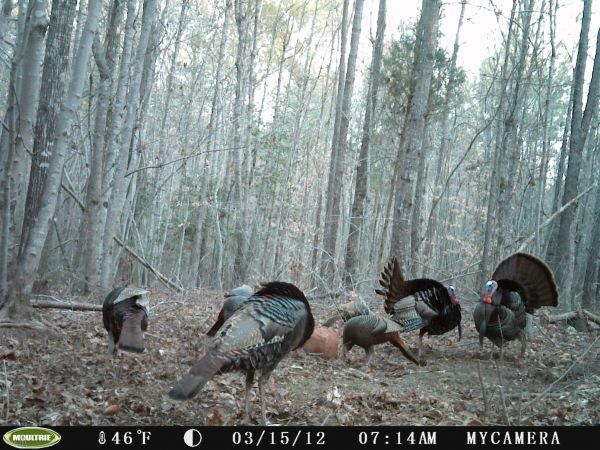 Won't be long till the long beard boogey.. So creek, What's the rest of the story???? Congrats to everyone who scored this weekend with some nice kills and great stories. Check this out Viper.. Ya'll know I haven't paid a whole lotta attention to that moon phase thingy. However, over the past couple of weeks I have been looking at my Garmin and looking at the lunar phase. As fate or phase..lol would have it, I saw six deer this week during the 'mid-day' phase all within the magic window. Soooooo yesterday I headed back to the pathfinder about 10:30 to take care of some business and get a bite to eat, while there I checked the gps and the best time was between 12:04p to 2:04p so I thot I would see what up. I went to an area on the back side of a 5yr old pine thicket that borders hardwoods on one side, hardwoods and creek bottom on the backside. Earlier Sat am I found several scrapes that appeared to be about a day old thot maybe he would come back to check that status on his message board...I get back there about 11:30 and after several nods it's now 12:15p. I hit the grunt three times wait, nothing, after a few more nods, it's now about 1:20. I just happened to grab my rattl bag and thot what the heck, I rattl for about 30 secs listen, nothing, I grunt, rattl, grunt all simoltaneously for about a minute. bend about half way over(i'm sitting between a forked oak tree on the ground) to put the rattl bag back in my lower pant pocket and I hear something coming out of thicket like a freight train, I look up and it's big doe coming right at full speed, gets like 10 feet from and realizes oops, that ain't no buck like I've ever seen, did a 180 back up into the thicket. Mid day hunting, hmmm, keepn one eye on the moon phase, particularly when it is under foot. Got up early this morning and headed out and this is what I was blessed with at 10:40am. 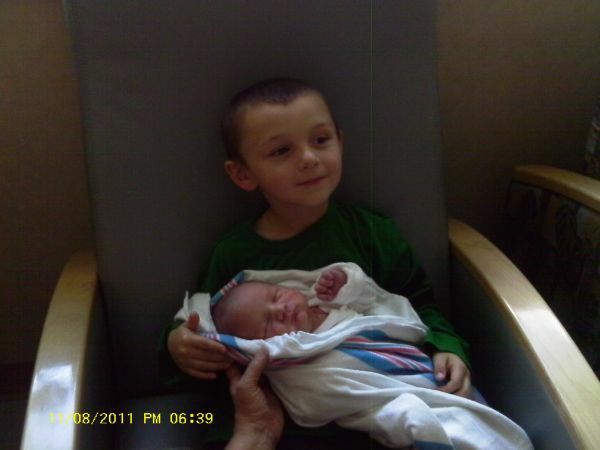 with his big brother Tyler. The Lord is good. ps. can't wait to be back amongst'em in the morning. Heading to the creek bed and bottom and gonna hang out for awhile. GT....What is the 'recipe' for your mix? Refer to the NCWRC regulations. Page 78 under local laws does not say that you must be off the ground while hunting with a rifle. Wake county for example is clear, i.e. must be 6ft off the ground while hunting with a centerfire rifle. WOW! what a story....Congrats..no matter the preparation, the planning..... nutin like being in the right place at the right time. A comment titled: Re: What to do? in response to a report titled: What to do? One word of caution, might want to check local game land laws and make sure dog hunting is ok. 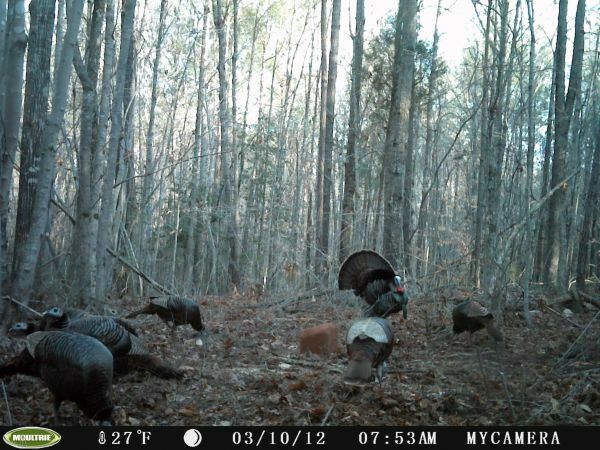 The county I hunt in allows it and a couple of clubs turn out regularly and the property I hunt is on the backside of it so sometimes it gets pretty interesting....besides, truth be known, (1) nothing like a pack a hounds yelping in the bottom lands. 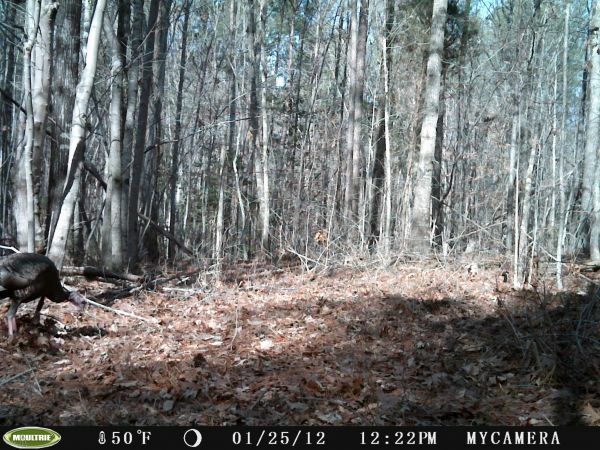 and (2) chances are you'll see deer that you may not have ever seen. Anyway, you see'em, you shoot'em. Yuup!!!! after walking more than a mile through the woods, good thing you had that scent under control. 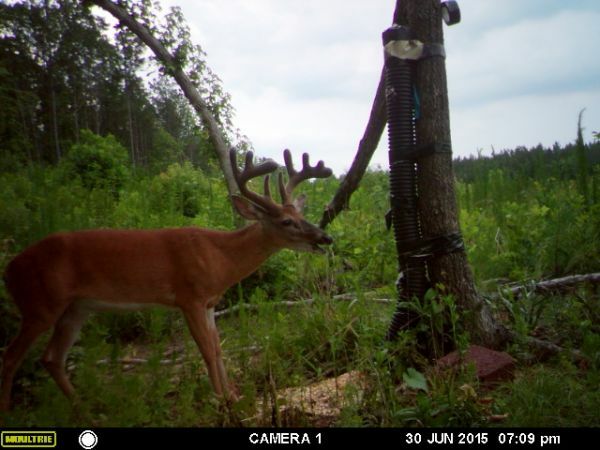 Interesting numbers on the average age of bucks being taken now. WOW!! Excellent question. A very LOADED question, but a good one. First, let me say keep the legislators out of it. More legislators=more legislation=more regulations=more restrictions=more fines=more TAXES=less freedom, less choice. I believe the current regulations in place are sufficient to sustain and support deer population growth and management. Second, speaking of choice. It is by choice that there are so many immature deer killed each year and not because of a 'pile of corn.' Each hunter chooses when or when not to pull the trigger, not because there is 'artificial bait' on the ground. Granted many hunters choose to shoot small deer and not think of the consequences that will have on a deer herd. This year I may have put out about 600+ lbs of corn including minerals such as trophy rock and have killed 0 deer on a 'pile of corn.' 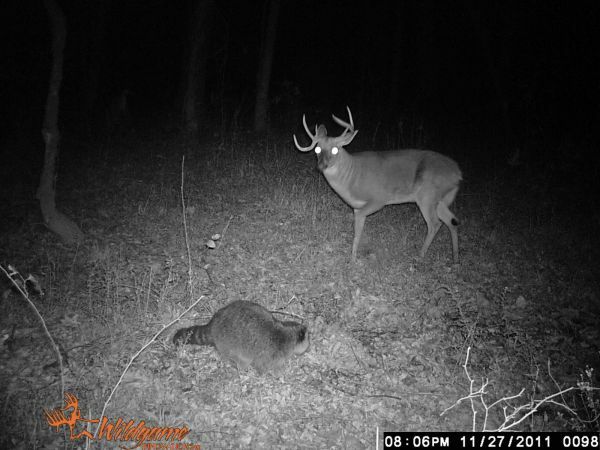 In fact, trail cam pics show that deer are more likely to be on a pile of corn between dusk and dawn. I killed a 7pt and a 10 pt(140'rough green score) by doing my home work, learning their habits, the habitat and by being in the right place at the right time. 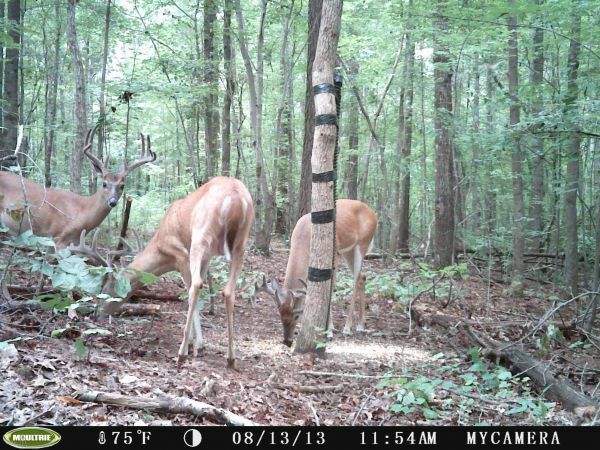 As far as 'artificial baiting' goes, setting the buffet/food plot with mixed greens and salads is one in the same. That is, you are putting something there that is not indigenous to that area to attract, lure and harvest a deer. It's by choice, bad decisions to shoot small deer that is the issue, not the choice to bait or not to bait. Also, you have the issue of hunting with dogs. Most dog hunters and hunting clubs I know or have been a part of will shoot anything that is front of the dogs, period! They practice 0 deer management. I'll let S Prevette handle that argument. Lastly, that is why I chose to lease a piece of property myself. 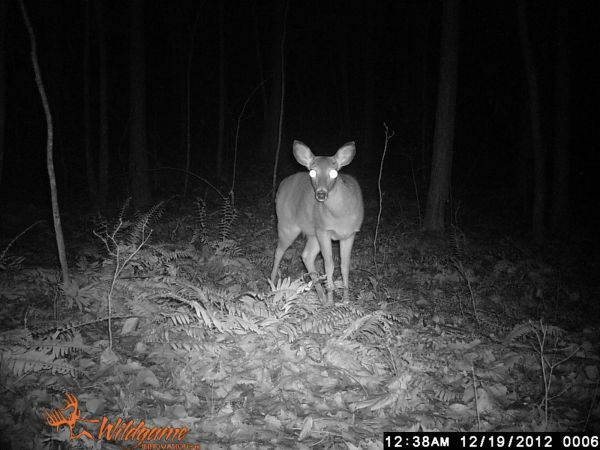 I use some form of deer management, I learned how to age deer and have decided not to shoot anything under 3yrs of age. 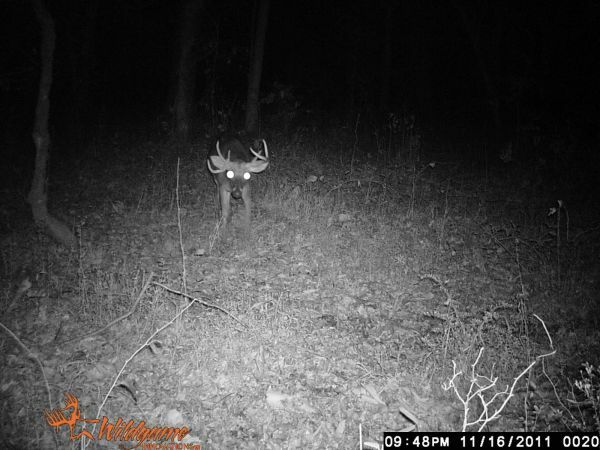 It is a hard choice to look at a 2 1/2 yr old 9pt and let him walk when he might not make it through another season.(i.e. get hit by a car, killed by another hunter on the neighboring property or be pushed out by dogs) However, the choice to wait was well worth it. Like they say, 'let'em go, let'em grow.' Personally, It's a matter of choice and the choice made is a reflection of the heart of the hunter. 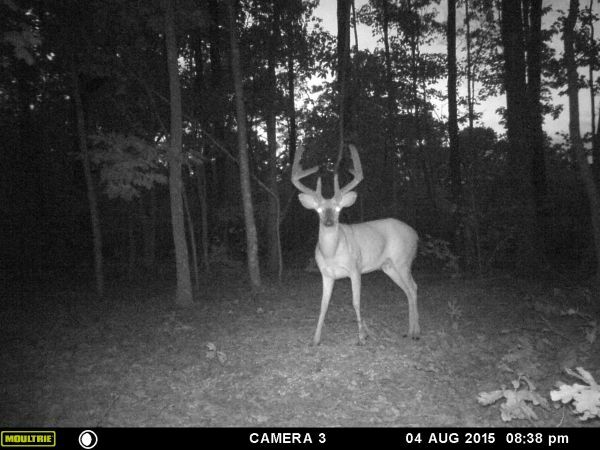 Wow that's awesome........never seen such a buck in full velvet sooooooo late in October??? A comment titled: Re: Deer selfie? in response to a report titled: Deer selfie? Welcome aboard....congrats on the 2013 trophy. looking to hearing and seeing some updates. A comment titled: Re: Wall Hanger?? in response to a report titled: Wall Hanger?? Uhhhhhhhh! shooter.....Look to be a respectable 3 1/2-4 year old..
yuup! he is a nice'un. good luck. 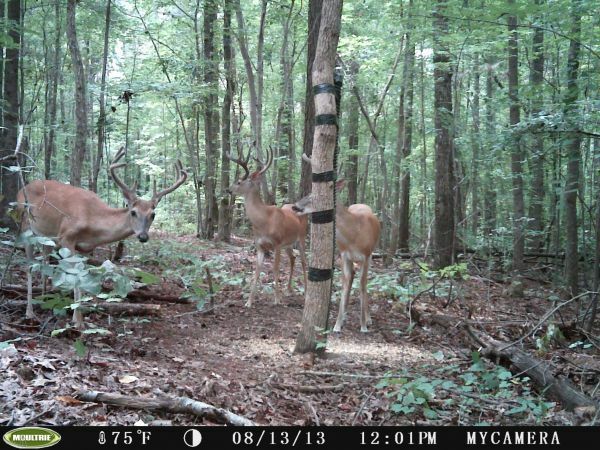 Yessir Hambone, some nice deer pics there. 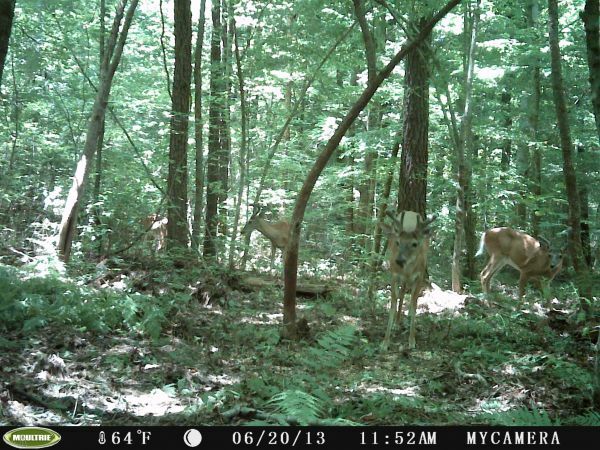 I like the one with the tall split brow tine, he gonna be a goodin. A comment titled: Re: where is everyone? in response to a report titled: where is everyone? YUUP!!!!! I've been wondering the same myself...reckon someone got their(his)feelings hurt bout somt'n I guess. Dang sure ain't the same. Married for 31 years to my first wife. Love to hunt & fish and the out doors in general. Believe that Jesus is Lord. Grateful for the men and women who have and continue to give themselves and their lives to protect our freedom.